This is being circulated. There may be some readers interested in signing this. Others will certainly be angry about it. I hope you are aware that the frenzy in Washington about Russian “interference” in our 2016 Elections . . . It is really all about undoing those elections here in 2018! Which is why Mark Levin is right —it’s time to speak out . . . it’s time to defend our electoral system and the Constitution . . . It’s time to stand with President Donald Trump! Please, it is crucial that you and every other TCC supporter I am contacting today sign the “STAND WITH TRUMP AGAINST THE COUP PETITION” to the Republican Leadership in Congress. Former Obama Administration officials, the Democrats, the biased liberal media, the radical leftists and so called “moderate” Republicans are determined to remove President Trump from the White House by any means necessary. Behind them is an organized army of radical leftists funded by George Soros who will petition Congress, disrupt Town Hall meetings, infiltrate Trump rallies and all too often, riot in the streets. As you well know, we are building a “2 Million Patriots Trump Army” to counter them and the coup against the President. 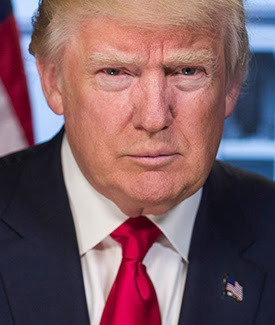 Your Petition demands Congress get behind their President against the barrage of anti-Trump “fake news” from the biased media and frivolous anti-Trump charges from the liberal Democrats and the Left. When not calling for impeachment, other Democrats (aided and abetted by “moderate” Republicans like Tennessee Senator Bob Corker) are introducing legislation to take away the nuclear codes from the President or require a psychiatrist to be stationed on duty at the White House! And cheering every step of the way is the dishonest liberal media. They have made no secret of their hatred for President Trump and his conservative agenda — or their desire to force him out of office. And make no mistake: They’ll succeed in destroying the Trump Presidency unless we unleash every patriot and dollar we can muster against them. With your continued help and support today, we can and we will mobilize a “2 Million Patriots Trump Army” to defend the President against the coup. For more than 40 years, The Conservative Caucus has been involved in some of the most important policy battles. It was TCC who helped President Reagan win the Cold War . . . it was TCCwho helped repeal the unfair Catastrophic Coverage Tax . . . it was TCC who helped defeat “HillaryCare” . . . it was TCC that helped block President Bush’s amnesty plan . . . and it was TCC that was a constant thorn in Obama’s side. But please understand: We base all we do on the Constitution. If it is ever proven that President Trump violated the Constitution, the law, and/or his oath of office, we’ll withdraw our support for him. Right now however, we see NO EVIDENCE WHATSOEVER of “high crimes and misdemeanors” by our President. On the other hand, we see plenty of evidence that the Obama/Clinton/ Schumer/Media left and their “Deep State” moles are determined to undo the 2016 Elections here in 2018. Sign the “STAND WITH TRUMP PETITION” to the Republican Leadership in Congress. P.S. The Left won’t give up until they undo the 2016 elections! If they take back Congress in November, the first thing they will do is begin impeachment proceedings against President Trump. This must not and cannot happen! We must continue to stand up for our President, our electoral system and our Constitution! So please: SIGN YOUR PETITION TO CONGRESS.